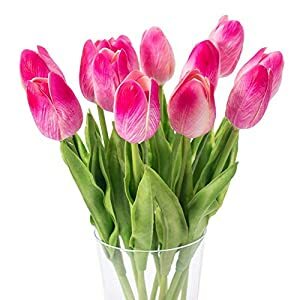 √ LUXURY ARTIFICIAL FLOWER – Real-tuch Artificial Tulip Flowers, Well Made And Vibrantly Colored, You Will Be Amazed At The Appearance And Aroma Of These Flowers, So That You Can’t Feel It Is Artificial Flowers. 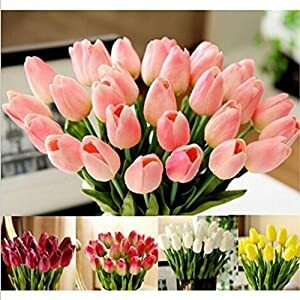 √ RICH FLOWER – The Rich, Full, Blooming Heads Of These Gorgeous Flowers Make Them A Stunning Choice For Decorating. Create A Bouquet That Fits Perfectly Into Your Personal Decor. They’re Also Perfect For Floral Arrangements, Centerpieces, Crafts, And More. 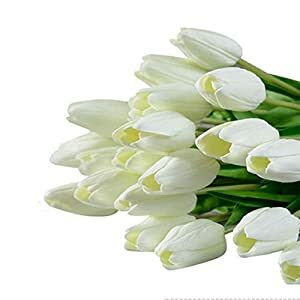 √ WIDE RANGE OF USES – Luxurious Bouquet Perfect For Decorating Wedding Party, Your Home And Garden Decoration,office,coffee House,altar,church And So On. ★Fanxieast is a professional Polyurethane artificial flower manufacturers, our Polyurethane artificial flowers look realistic, cannot be identified through the naked eye is a real flower or fake flowers, followed by the natural flavor in the petal manufacturing process, so our simulation flower is a natural fragrance, simulation The flowers are made by laminating layers of equipment and then assembled by manual assembly. 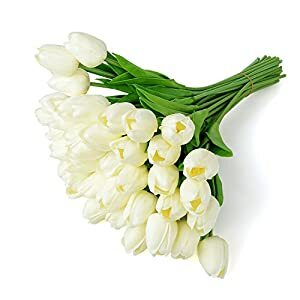 ★Polyurethane artificial flower is a new technology in the simulation flower industry in contemporary years. This technology uses the characteristics of Polyurethane materials to give the product anti-wrinkle, waterproof, no insect, no pollution, washable and high simulation characteristics. 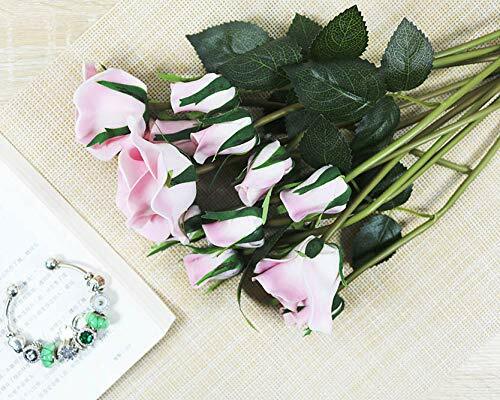 The PU artificial flower not only has the same shape and color as real flowers, but also feels like real flowers. Polyurethane artificial flowers, often referred to as Polyurethane flowers, Polyurethane flowers cannot only deal with a long lasting beauty, but also consistent with the seasons and needs of arbitrary: spring is arranged by you, the summer is cool, the autumn generally is a golden harvest, winter can be utilized to warm the eyes to warm At any time, roses can be utilized to express love, and peony can also be sent all over the place for blessings. 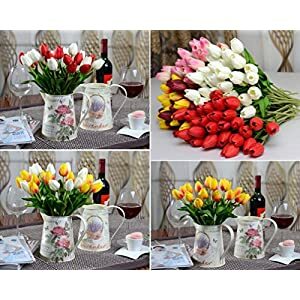 The vivid appearance, the variety of shapes, the longer viewing period and the richer styling methods are all strong reasons for people to love artificial flowers. 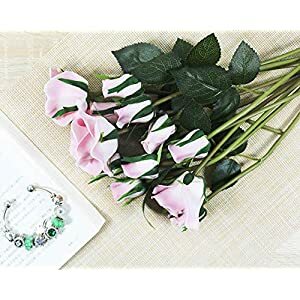 In China, artificial flowers have turn out to be a standard item. 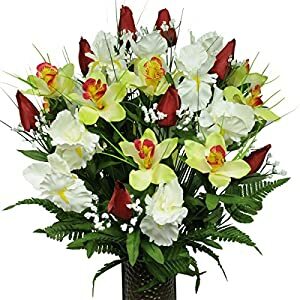 No matter the opening ceremony, wedding banquet, place of business space or home environment, there are artificial flowers. Increasingly people love handmade products. ★For the reason that size of the box is fixed, a part of the flower rod can be bent partially, that is normal, it may be easily restored, please don’t worry. ★Because all are artificially produced, the color of each and every flower can’t be completely 100% identical. 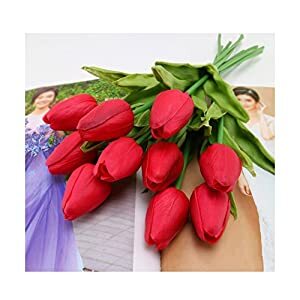 √ LUXURY ARTIFICIAL FLOWER – Real-tuch Artificial Tulip Flowers, Well Made And Vibrantly Colored, You Will Be Amazed At The Appearance And Aroma Of These Flowers, So That You Cannot Feel It Is Artificial Flowers. 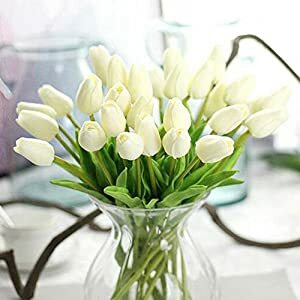 √ RICH FLOWER – The Wealthy, Full, Blooming Heads Of These Gorgeous Flowers Make Them A Stunning Choice For Decorating. 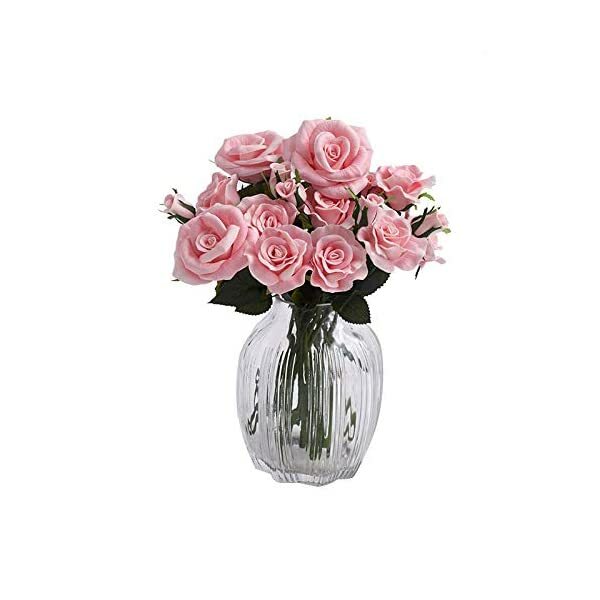 Create A Bouquet That Fits Perfectly Into Your Personal Decor. 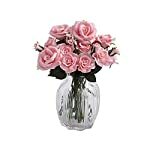 They are Also Perfect For Floral Arrangements, Centerpieces, Crafts, And More. 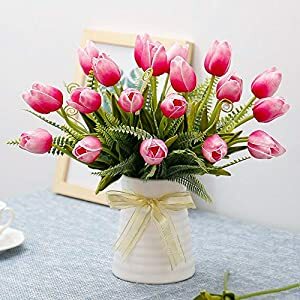 √ WIDE RANGE OF USES – Luxurious Bouquet Perfect For Decorating Wedding Party, Your Home And Garden Decoration,place of business,coffee House,altar,church And So On. 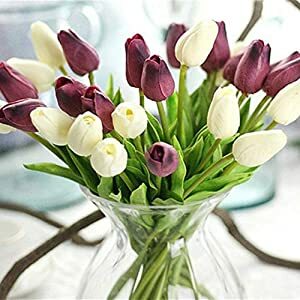 √ VARIOUS COLORS VARIOUS FLOWERS – We Sold Are Different Colors And Different Flowers,a couple of Choices Are To be had For You To Make a choice From.at all times One Option Fit For You Taste.